One of the highlights of the year is our annual Fall Festival, which is now just a little more than a week away on Saturday, October 13th. Besides the fun for the whole family and the opportunity to get this year’s flu shot, the Festival kicks off our Latin Pride fundraising campaign. This features parents speaking to other parents about the value of a Washington Latin education and helping to raise money for the school’s general operating expenses. Our model is expensive, and it cannot be funded fully by the per pupil allocation from the city. We rely on the contributions of parents, grandparents, faculty and friends to make our program work. 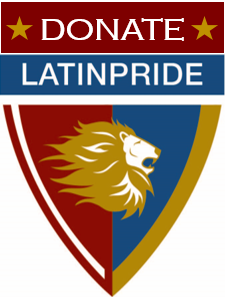 Latin Pride was the brainchild of parents who were grateful for the opportunities this school affords students. With the money they raised, they were not only able to defray some of the school’s everyday expenses, but also fund what is today our Parent-Faculty Association. If you are grateful and if you are proud to be a part of this community, we ask you to give generously. And, as we get ready for the campaign to begin, it has made me think about some of the reasons why I am proud of Washington Latin. We foster global awareness and encourage global citizenship. It might begin in Ms. Senty’s 5th grade Geography class during which students learn about people and places from around the globe. Or it might be nurtured during the study of world languages. This year, several of our eighth-graders are studying French, Arabic or Mandarin. Each year at least one-fifth of our upper school goes on an overseas trip: whether it is a school-sponsored excursion (like the trips to Morocco and Rome planned for spring break) or as a participant in one of several summer programs available to our community for minimal cost. This interest in the world is not limited to our students. In the past two years, using grants underwritten by the Faculty Fund, more than two dozen teachers and other staff have attended conferences, visited schools, or gone on tours of places as far flung as Prague, Israel and Mt. Kilimanjaro. Ours is a school where faculty members enjoy wrestling with ideas, reading widely and challenging each other. Since the summer, I have been in four different reading groups with teachers and administrators, exploring topics ranging from leadership to trauma-sensitive practices to how to be inclusive of people from different backgrounds. They volunteer to come in early or stay late and pore over hundreds of pages of reading seeking to learn from each other and grow, both as professionals and as a people. And we look forward to parents participating in experiences which inform, provoke and inspire by attending events like next week’s talk by Marie Bigham (be sure to register here) and by joining a book club that will be facilitated by Dr. Smith. I could write about our incredible students. From the middle school grades, students are thinking about how to use their interests and talents to improve our community. Students, participating in various efforts across the grades, are going beyond our walls to serve others. Students are nominating staff members of the month for our middle school assemblies, acknowledging the ways other meaningfully enrich their lives. What makes you proud of Latin? Share your stories on Twitter using our #WashingtonLatinPride. Follow us on Twitter. My handle is @WashLatinHOS and the school is @WashingtonLatin.